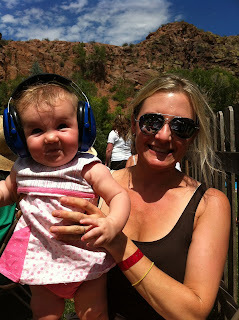 Bluegrass Guitar Mama: Rockygrass...with two tiny kids! For the fourth year in a row, Jack flew to Colorado with me to visit his Grandpa John and Grandma Kelly, and to attend our favorite festival: Rockygrass. This year it was a lot different. For the first time, he had a new baby sister festivating with him! Kelly and John, thanks for making this possible for us. 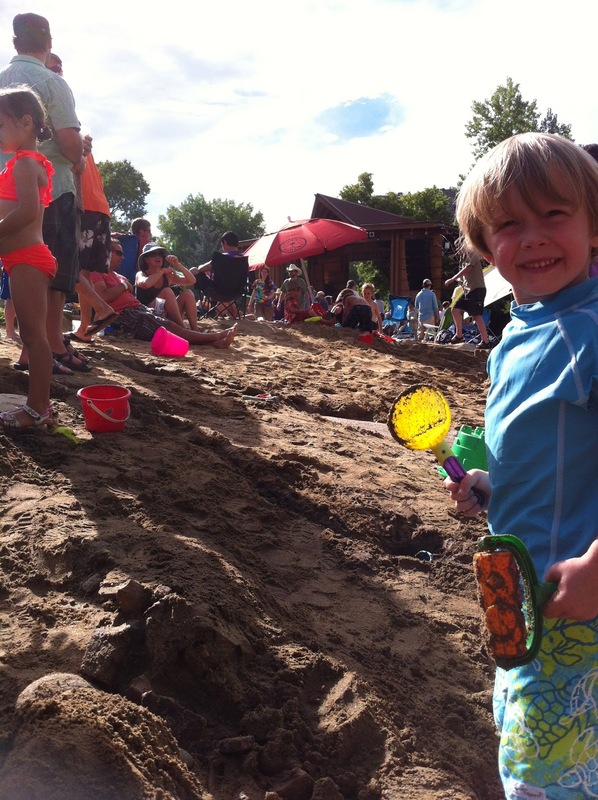 When Kelly came to the festival, she would take Jack down to the beach on the St. Vrain to play with toys and other kids. 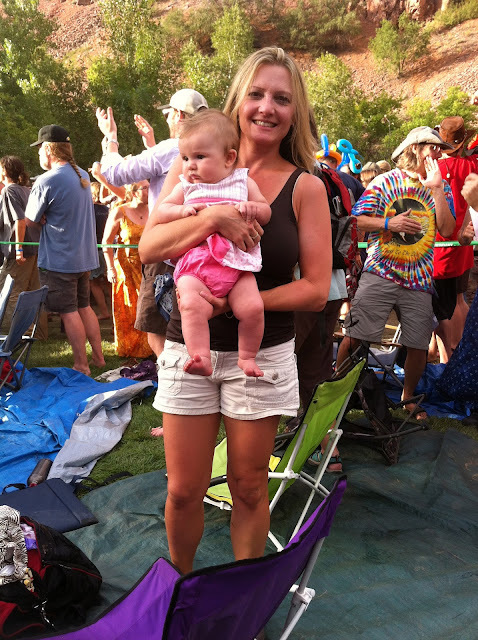 We would all watch music together and enjoy the gorgeous weather (and cold beer). Grandpa John didn't come to the festival, but he did pick up Jack from the festival at 5 pm on Saturday and Sunday. He gave Jack his dinner and bath; he read Jack his books and he put Jack to bed all by himself. This is a pretty amazing feat for a Grandpa, I must say. (It's difficult, even for an energetic young auntie). 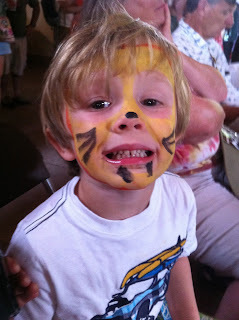 Jack's favorite part of the festival was becoming a tiger, playing on the beach, and using his binoculars. Cora's favorite part of the festival was flirting and smiling with everyone at the Planet Bluegrass Ranch. My favorite part of the festival was the beer. Oh, I mean, seeing dear friends I only see once a year, such as Erin and Aaron Youngberg. And meeting their precious daughter, Ramona! It looked fun when she was doing it! 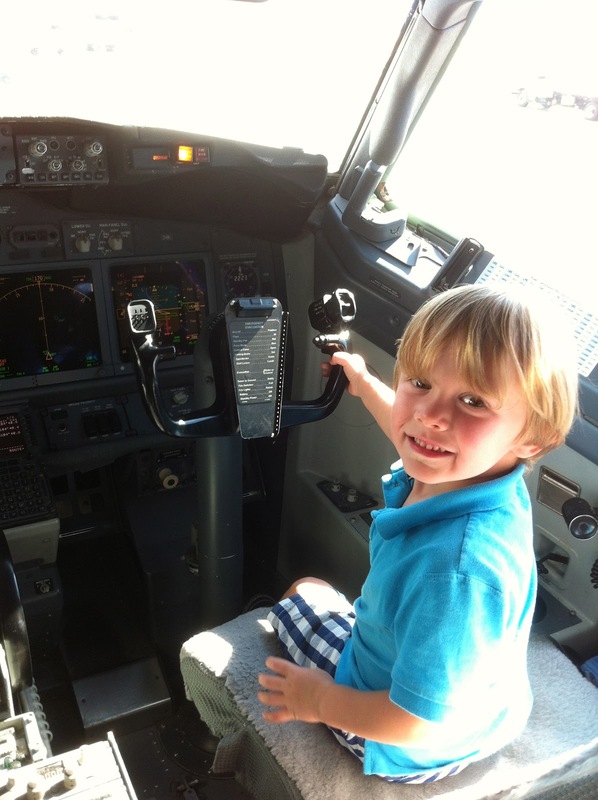 Becoming a pilot like his granddaddy?